All the essentials for the aspiring home cocktail connoisseur. 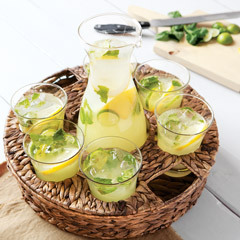 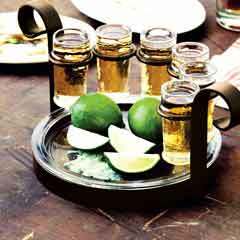 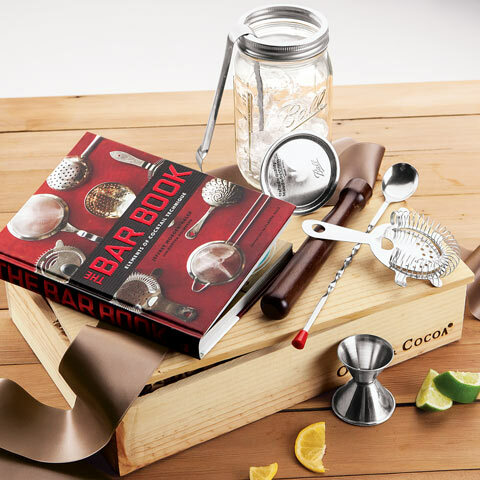 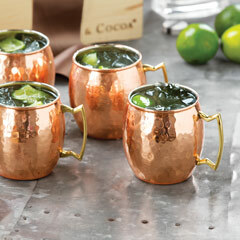 A unique quart size mason jar shaker, stainless steel strainer, double sided jigger, hardwood muddler, ice tongs, and cocktail stir spoon come paired with The Bar Book, detailing traditional cocktail making techniques and over 60 delicious recipes. 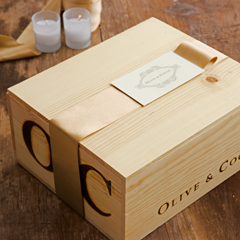 Set comes gift wrapped together in a hand crafted wood crate with ribbon.